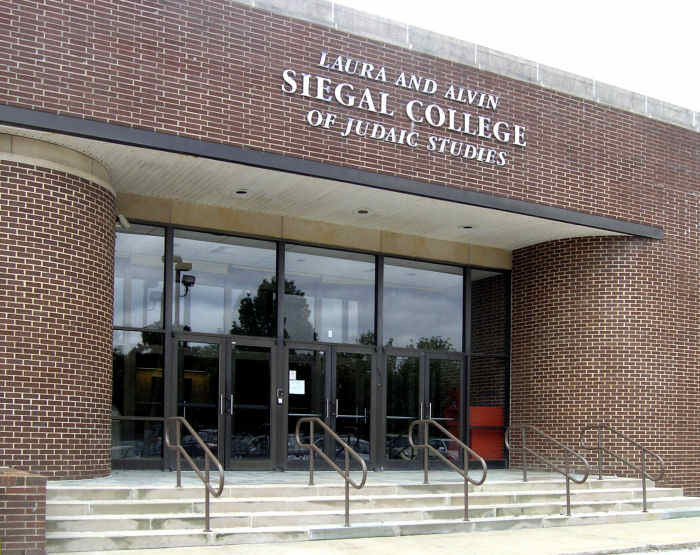 The main entrance is near the east end of the Siegal - Agnon School Building. There is a handicapped entrance at the east side of the building. 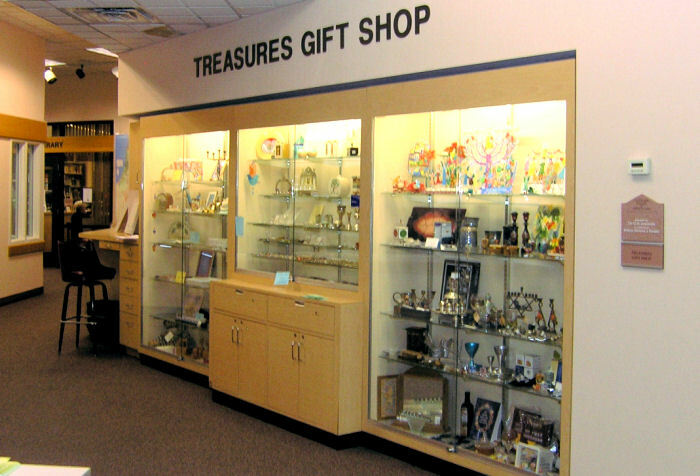 Sales of an all-from-Israel gift shop Treasures helped support the library. 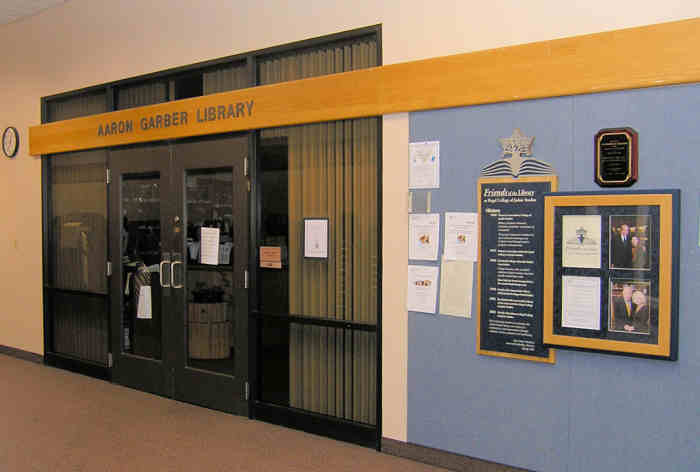 For many years Friends of the Aaron Garber Library raised funds to help support the library: extra hours of operation, enrichment experiences for library staff, and much more. 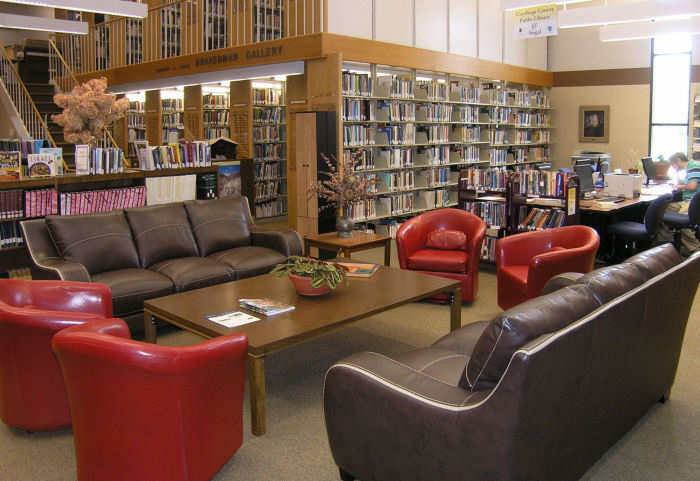 This furniture, used for book discussions and meetings, was one of their gifts. 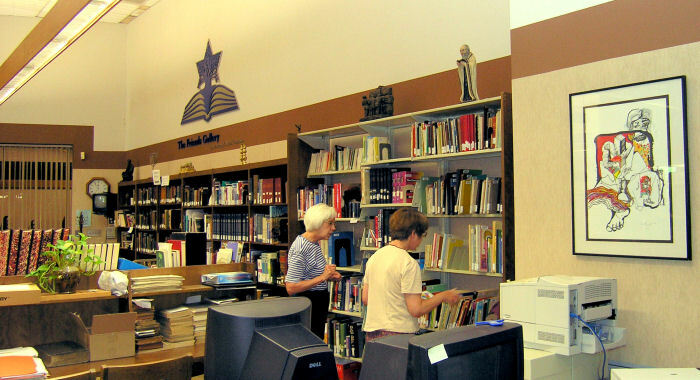 Book shelves and periodicals. 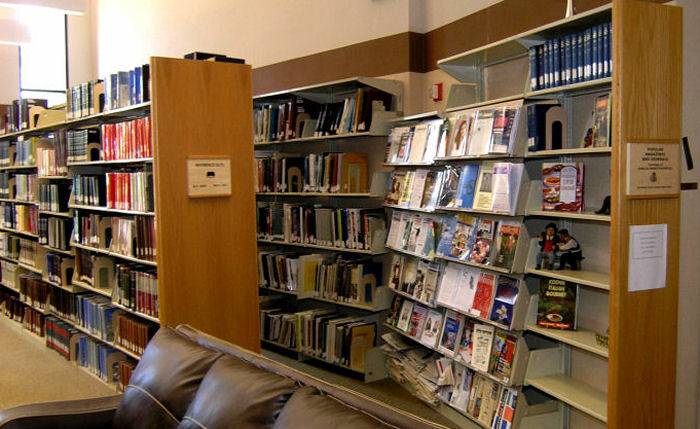 Many more periodicals are available through virtual subscriptions. 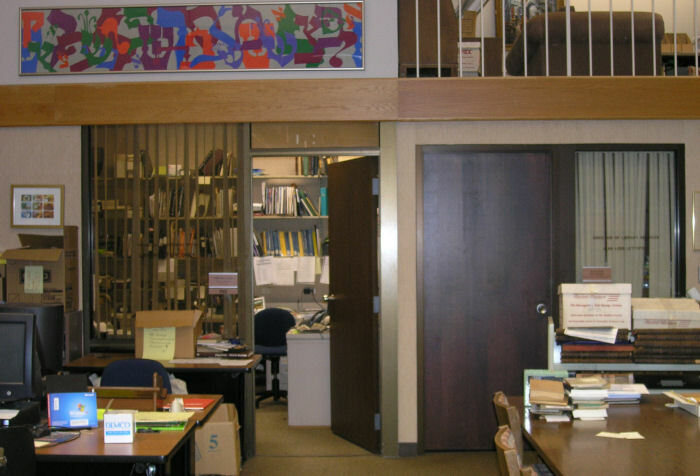 Left to right: a library visitor and On-Site Director Ilka Gordon. Offices and work tables for projects are at the western end of the library. 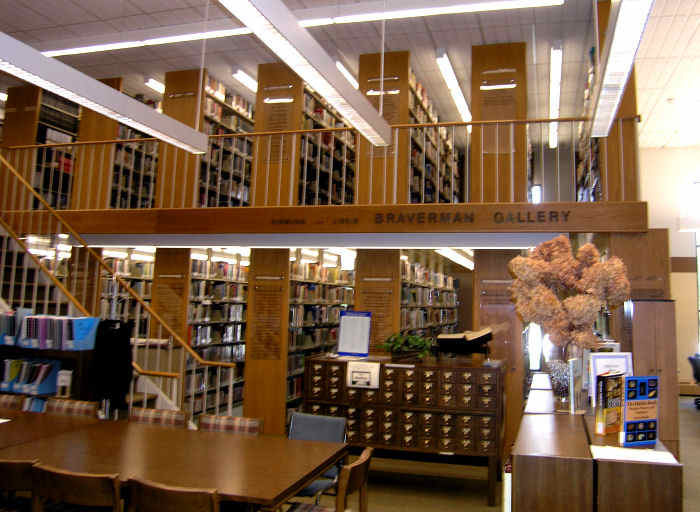 The gallery, named in honor of Sigmund and Libby Braverman, was dedicated in 1989. Read CJN story of the dedication of the Braverman Gallery.